When Defense is decreased, shields are weakened. 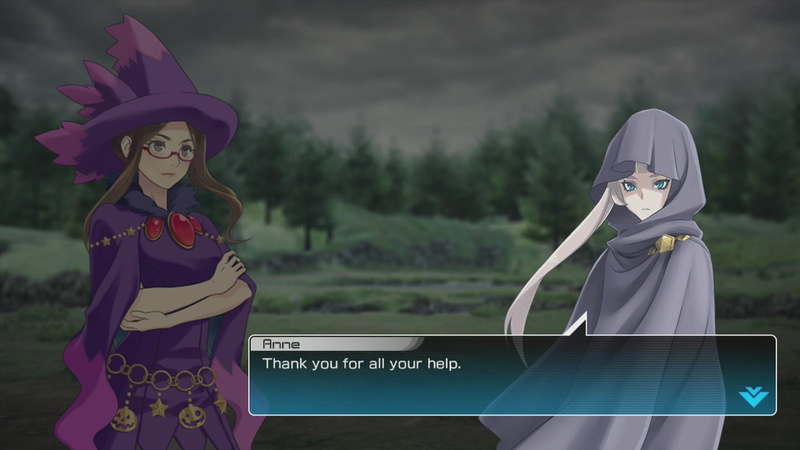 The character-specific changes don’t alter the damage of any of the attacks, but instead changes how they act and in some cases removes a glitch. Jumping Attack Mid Air Strong Attack: Range decreased, can now be countered. Miracle Eye: In field phase, recharge time has been increased. Miracle Eye Alterations: Reduces shield damage inflicted. Side Ranged Attack: When activated again while one is in play, the one in play disappears quicker. Backward Ranged Attack: Slight delay between using this move and being able to use Miracle Eye. Cancels running one if another is activated. Miracle Eye altered move has more pushback and can cause phase shift. Blue Flare: Damage inflicted reduced. No longer takes shield down all the way to red when blocked. Snarl: Fixed a glitch that caused the move not to appear if Pachirisu had been used by the opponent. 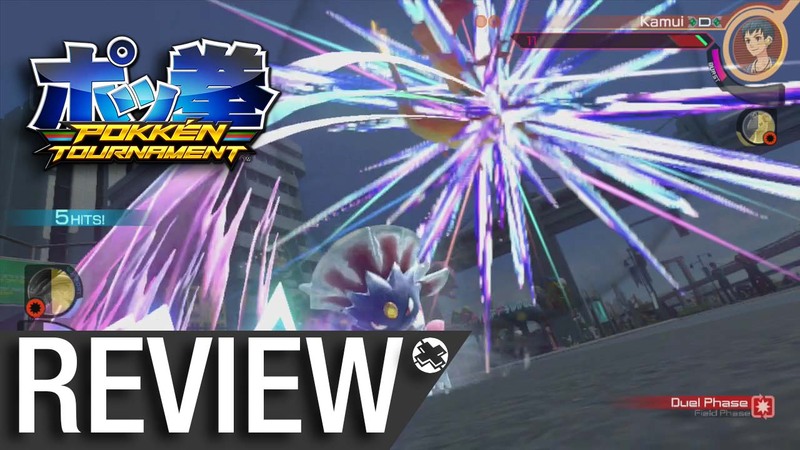 Review Pokken Tournament : Is This A Real Pokemon Battle? Is This A Real Pokemon Battle? I bet you have been wondering, is Pokken Tournament a real fighting game? Does it live up to expectations knowing Bandia Namco developed it, or is this another one of those Naruto Fighting game clones? Well lets find out if it’s the best bang for your bucks with our review. 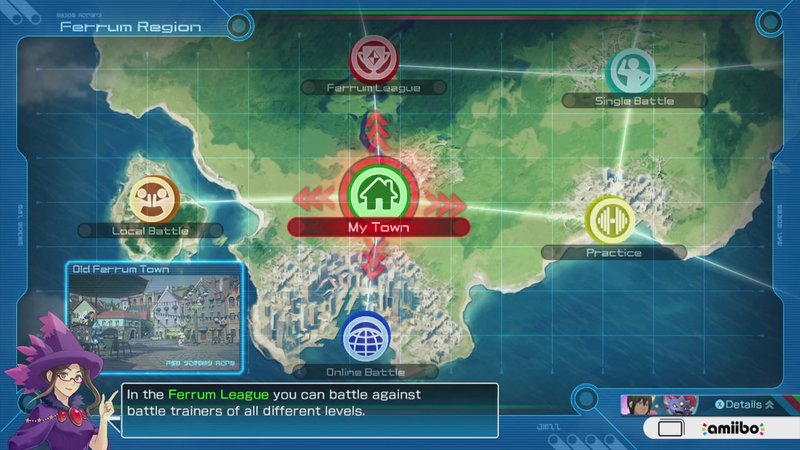 The presentation of Pokken tournament is as beautiful as ever, porting its way from the arcade to the Wii U. Not once did the frame rate drop,with its crisp, colorful 1080p resolution scenery and smooth 60 fps frame rate, Pokken delivers a stunning visual look and feel for players. Aside from the visuals from the gameplay, the menu layouts were as colorful and easy to use, giving you the feel from any other Pokemon game to date. On the downside, when you end up playing local battles with one console the frame rate does drop down to 30fps dropping visual value, but Pokken does offer a solution for this with the LAN play option, bringing it back up to the original 60fps frame rate. With an original soundtrack and the sounds from the battles, Pokken players will have the feel of a new Pokemon game in their hands. From players first step into a match, to the sounds in battle, it’s like competing in a real Pokemon tournament. Outside of the matches, the voice acting is what is to be expected of any dubbed Pokemon game. Besides an advisor that has a mediocre voice actor constantly giving advice, the rest of the story characters are a perfect fit right in the Pokemon universe. Pokken Tournament is not your typical fighting game nor is it the Pokemon games you’re used too, but rather a new experience for fans. Whether you’re digging into the Ferrum League’s Story, or just hitting the Practice tutorials, the roster of 17 characters and the 30 support characters will welcome old and new comers to the franchise. 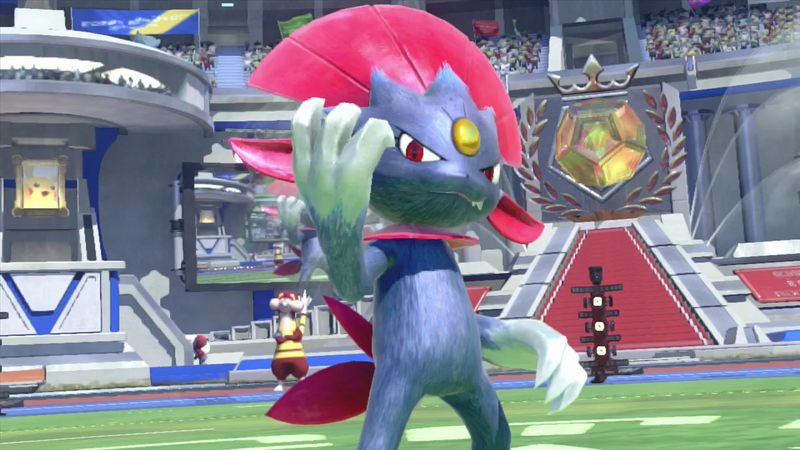 With 5 game modes, new mechanics, a customization option for your trainer and the fast connecting online battles, Pokken gives players a full game experience. With the leveling up system, you can build your Pokemon to the stats you like, and even tweak them if you are not satisfied. 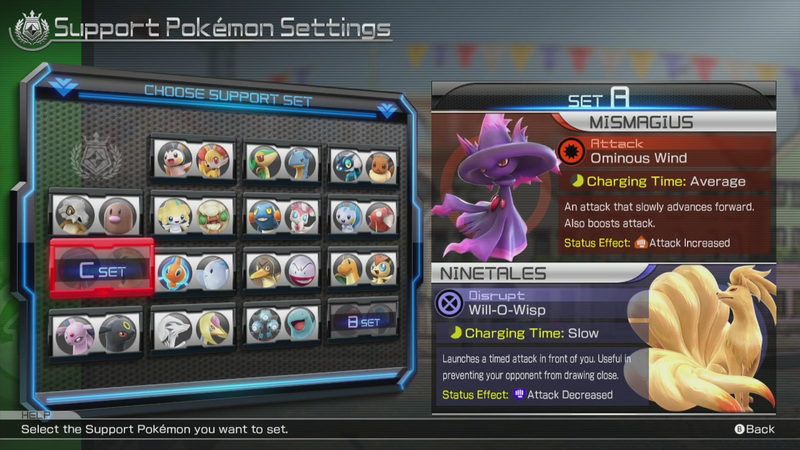 Pokken also introduces the synergy system, This is a meter that is filled up while doing damage in battle. Once the synergy meter fills up you are able to go into a synergy burst, which will unlock more potential from your Pokemon along with a powerful special cinematic move. 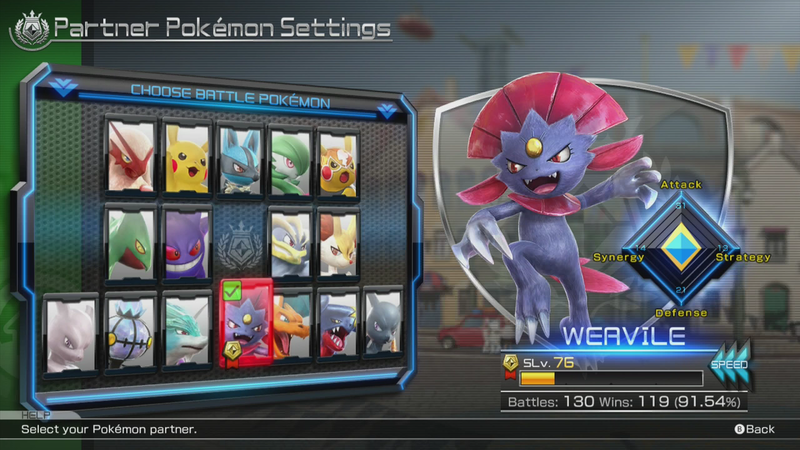 Pokken also introduces a new support character system which has a meter system as well. Unlike the synergy meter, the support meter is filled over time, once its filled you can call out your support character to; help deal damage, heal, or stat boost your the opponent and your character. During battles your are also introduced to the shields, counter attack and grabs. Shields are very useful for blocking attacks except for the punishing grabs, and the counter attack is an attack that has a temporary shield while attacking and will assist you when you opponent has you in a situation you normally wouldn’t be able to get out of. Pokken Tournament doesn’t fail to deliver. With the beautiful original soundtrack, smooth menu layouts, fast combat system, and new mechanics, Pokken tournament will have players coming back for more. The only downside, Pokken doesn’t offer a full 60fps local multiplayer experience, unless you have two copies of the game and two consoles. Other than that Pokken Tournament is a must have for Wii U owners and Pokemon fans, and yes, it does feel worthy of the label “fighting game”. Thank you for reading our review, do you agree with our verdict? 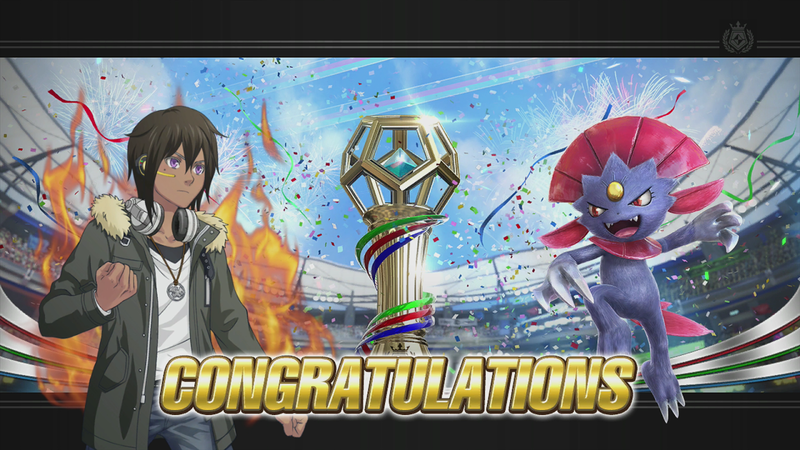 What are your thoughts on Pokken Tournament?